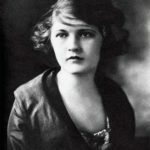 One of the main attractions of Montgomery was Zelda Sayre. 18-year-old beauty had a lot of suitors. She was considered the most enviable bride of the state: her father was a chief judge, and distant relatives sat in the Senate. Zelda didn’t like any of her boyfriends. She was the youngest of six children naughty and capricious. The girl’s mother read a novel about gipsy Zelda during pregnancy. Fascinated by the exotic name, she decided to name the daughter Zelda, despite the objections of the family. Zelda had inherited the unbalanced nature of the mother, and as a teenager she started drinking and walking with fans. Some of her antics were too provocative, for example, she could swim naked in the pool. Scott saw her for the first time at a local bar. “She was the most beautiful girl I’ve ever met in my life” later he recalled. Cutie-Scott went to her parents to make a proposal. Zelda’s father learned about his financial position and rejected. 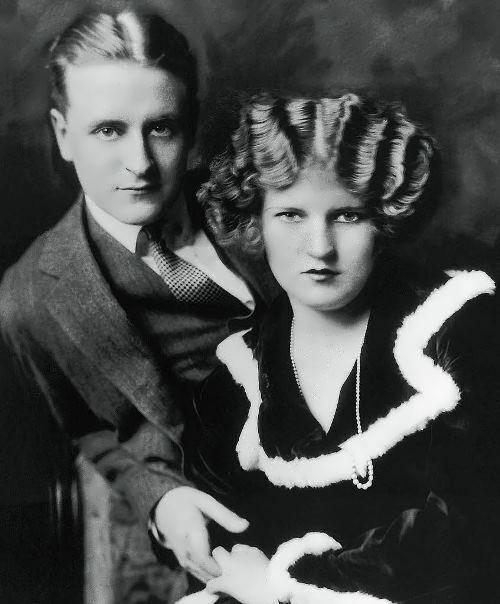 Fitzgerald managed to agree with her parents that the marriage would be possible when Scott started to earn enough. 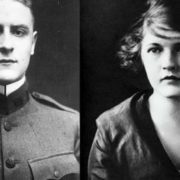 Retired from the army in 1919, Fitzgerald gave the bride a ring and immediately left for New York, where he got a job in an advertising agency. 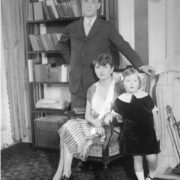 Zelda stayed at home with her parents, and … continued to live as lived. She went out, had love affairs. Once, Zelda accidentally sent Scott a letter addressed to a very different man. A few days later, the groom rushed to Montgomery to demand an explanation. Zelda just threw him a ring. 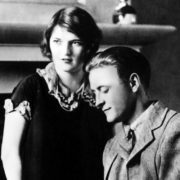 The engagement was broken up, but Fitzgerald was not going to give up. “I’m in love with a hurricane … but I’m in love! I love her, love, love!” he wrote in his diary. 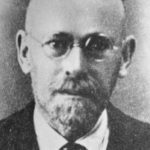 His first novel, Romantic Egoist, he began writing in the army, and even sent it to the publisher, but got the manuscript back marked “finalize”. 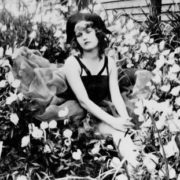 The finalized version was called This Side of Paradise and was published on March 20, 1920. It was a triumph. A week later he married Zelda. They had become the personification of “roaring 20’s”. 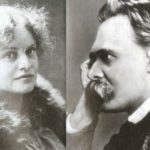 Society column of those years was full of description of their tricks and newspaper magnate William Hearst even hired a special reporter who followed the couple. Zelda bathed in the fountains, Scott fought with police. Together they came naked to the theater… and drank a lot. Alcohol had become their constant companion. The birth of their daughter Scottie did not correct the situation. “I hope she is beautiful and stupid … I do not want her to be serious, and do not want her to be great. I want her to be rich and happy, that’s all”, Zelda said. Later, Daisy Buchanan, perhaps Scott’s most famous heroine, said the same. 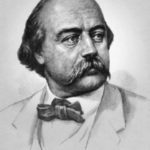 Zelda’s antics gave him the material for short stories, which he published in the Saturday Evening Post. These happy years of their married life were accompanied by constant sprees and jealousy. 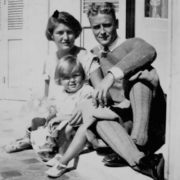 While Fitzgerald drew inspiration for his books, that way of life killed his talent. One of his closest friends – Ernest Hemingway – believed Zelda had ruined one of the best American writers of his era. 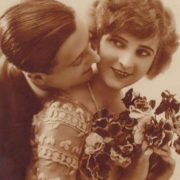 Their love began to fade in the mid-20s. 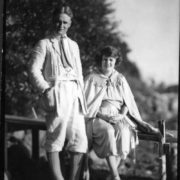 In 1924, they went to the French Riviera. 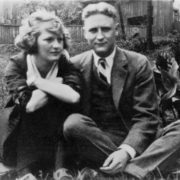 Scott wrote The Great Gatsby and Zelda sunbathed on the beach. A love affair with a French pilot suddenly turned the idyllic vacation into a tragedy. 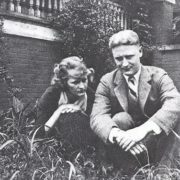 Zelda tried to leave Scott, but the Frenchman, as it turned out, did not think their romance was a serious relationship. Then Zelda made her first suicide attempt: took a lot of sleeping pills. Her husband had to call the doctor, and she was saved. Then Zelda decided to become a “professional dancer” and tortured herself with hunger and training. However, she occasionally frightened husband and friends with quite crazy antics. During a dinner in Paris restaurant Fitzgerald saw Isadora Duncan and wanted to greet the great dancer. Zelda did not mind. But at that moment, when her husband went to Isadora, she went to the stairs (they were sitting on the second floor of the restaurant) and rushed to the span. Another nervous breakdown at the beginning of 1930 had become critical. Beautiful and Damned – the name of the novel suited to them the best. They were rich, successful, loved, famous, envied, admired. But everything collapsed at one point. Zelda began to hear voices. The diagnosis was terrible – schizophrenia. 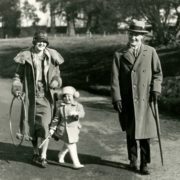 Since the beginning of 1930 Zelda was in the best clinics in Europe and America, and Scott gave all fees for treatment. During treatment Zelda was once again actively engaged in creative work, painting, and even writing. In 1932, she finished her first novel, Save Me the Waltz. 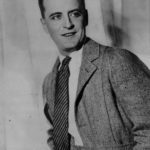 In one of the autobiographical stories written at that time, Fitzgerald even compared himself to a broken plate. 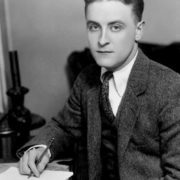 On December 21, 1940 Scott Fitzgerald died of a heart attack at his home in Hollywood. 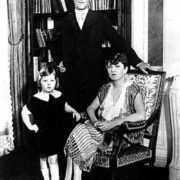 Zelda Fitzgerald lived for eight more years after the death of her husband. She died in March 1948, during a fire in asylum.